During my visit to Ohrid City in January, I saw many wonderful landmarks and monuments. Ohrid is an incredibly rich city in terms of architectural, historical and religious sights; therefore, it’s impossible to get bored in the city since each corner hides something special. The weather was wonderful, even too good for January. So, not only did we explore Ohrid, but we also explored its surroundings including St. Naum Monastery and the mysterious Bay of Bones. I was a bit skeptical about the latter because it is a reconstruction, not the real deal. However, once I laid eyes on the settlement I started to change my mind. Bay of Bones is a reconstruction of a pile-dwelling settlement. It’s an entire complex that includes a museum on water, a regular museum, a bar, a souvenir shop and a picnic area up on a hill. All of these are awesome, and I was very positively surprised by this site. The road to Bay of Bones is pretty good and asphalted. You can either go by car or take a shuttle from the city. There’s free parking provided, and the ticket price lets you enter the complex and explore everything it has to offer. 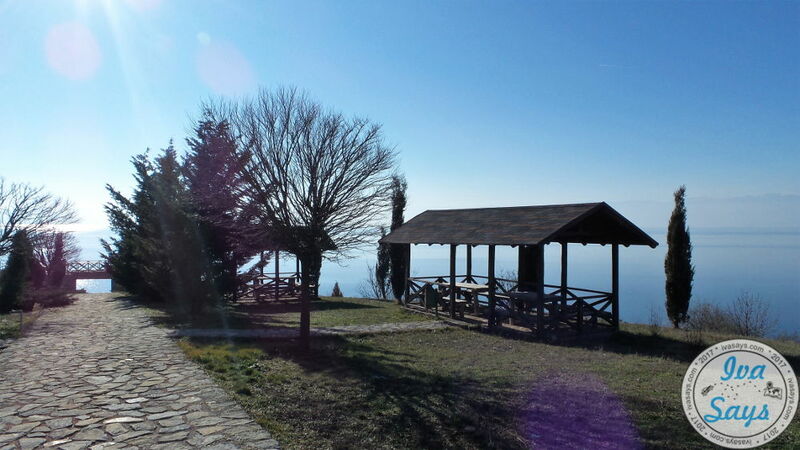 During a sunny day, you can enjoy a cup of coffee by the lake at the bar or have a picnic on the nearby hill and enjoy the nature. 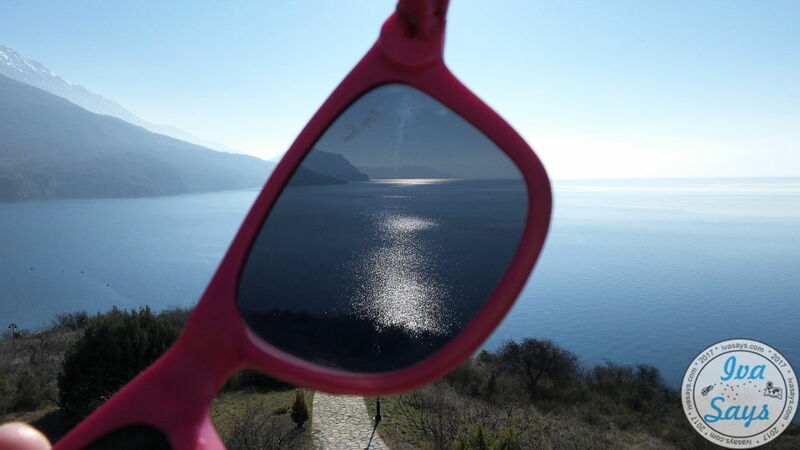 Bay of Bones is half an hour ride away from Ohrid City i.e. 16.2 kilometers. The Museum is erected above the Ohrid Lake. Bay of Bones is a Museum on Water that represents a pile-dwelling settlementthat used to live on top of the water in lake Ohrid during prehistoric times, unique for the region. Within the complex, there’s also a standard museum where visitors can see artifacts that were found at the bottom of the Lake. 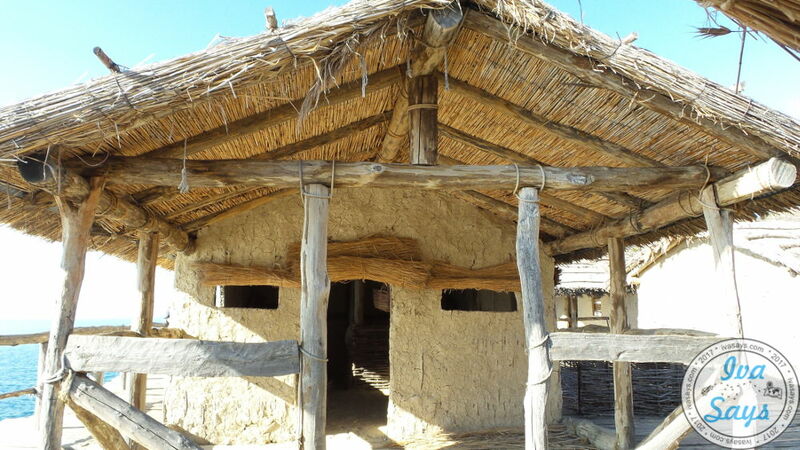 Bay of Bones is an authentic reconstruction of a pile-dwelling settlement, which dates between 1200-700 BC. The reconstruction itself was built in 2008. Underwater archaeological research has been conducted in the area since 1997. Ticket price per person was 100 MKD or 2 EUR; in other words, it’s better to have Macedonian denars. The price includes entrance fee in the complex as well as the museum. Aside from going by car and use the large parking in front of the entrance (free of charge), you can also take a city bus or shuttle for 1 EUR per person. After my single-day adventure at the Bay of Bones, I must admit that I became very fond of the attraction. 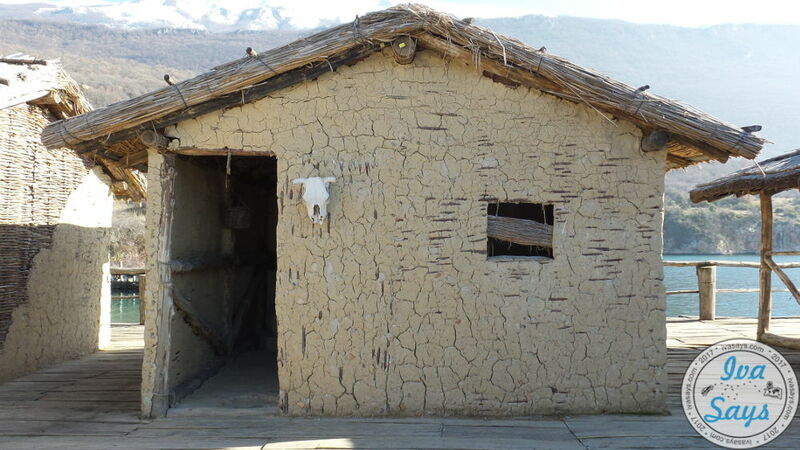 I think anyone would find interesting walking around the settlement and taking a peek inside the wooden houses. There are lots of dead animals (fox and bear skins) used to make the museum more authentic, so don’t freak out. I personally hated that part, but other than that it was a very pleasant experience. The Museum on Water Bay of Bones is situated by an old Roman military fortification on the “Gradilishte” peninsula. 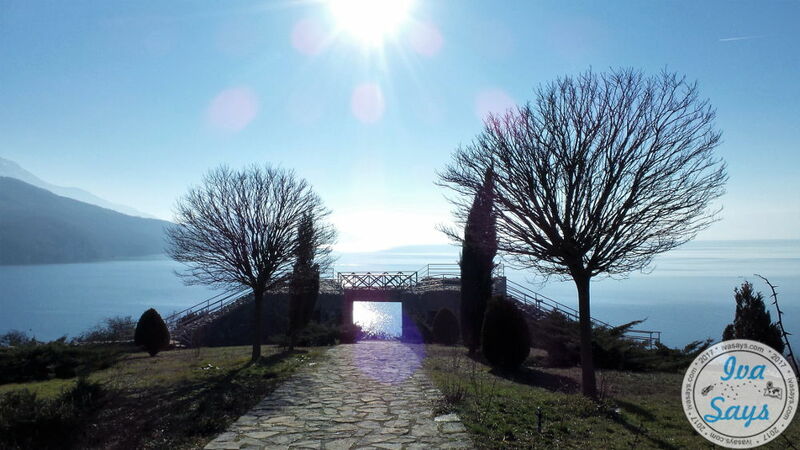 The area was reconstructed and has wonderful picnic areas overlooking Lake Ohrid. I would highlight the importance of nice weather; we went there on a sunny day, so we could take our time and explore every little corner of the complex. It’s a must go up the hill in “Gradilishte” and take photos from the newly made stone gates and walls too and make a nice picnic day out of it. What a lovely place and many nice pictures 🙂 Thanks for shareing this place.